We’ve instilled the modern days powers of science to create a pair of earrings that are perfect for the one that has your heart. 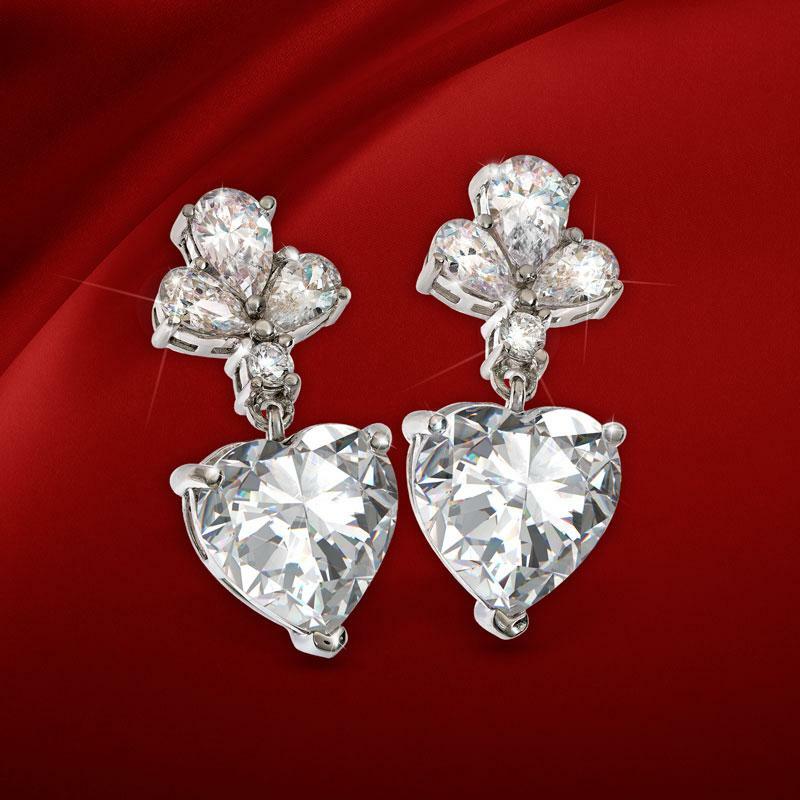 The Sweetheart Earrings feature over nine total carats of DiamondAura® stones that sparkle and shine from pure sterling silver settings. Lab-created DiamondAura stones deliver more stunning fire and clarity than mined diamonds for a fraction of the price. To get nine carats with this level of sparkle from a big designer name you would need to add a decimal point to the price. Overpaying tends to take the romance right out of the equation in our opinion. This is a much sweeter deal.